Cynthia Pamela Sanchez will now represent Peru at the Miss World 2017 pageant! For Peru, having two Miss World winners is no mean feat. Peru boasts two Miss World titleholders – Madeline Hartog-Bel (1967) and Peru María Julia Mantilla (2004) – but the country is not that consistent in the world of pageantry. 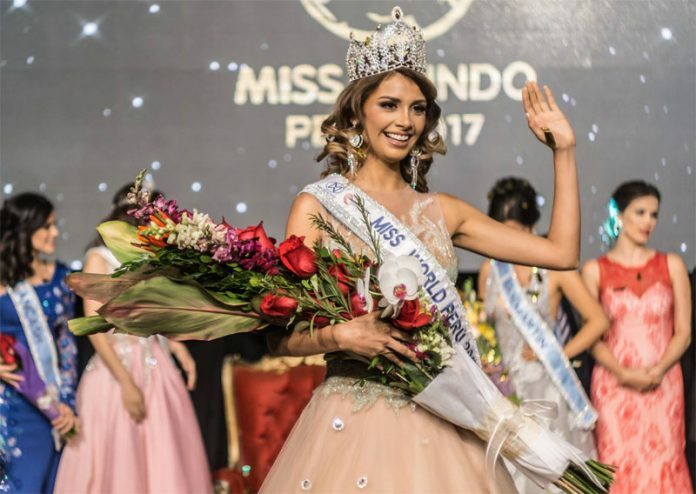 In essence, the country is actually struggling as no Peruvian beauty queen has ever landed in the Miss World semis since the country’s victory in 2004. The crowning of Cynthia Pamela Sanchez as Miss World Peru in April 29 could provide some sort of relief for the country. Cynthia is a stunning beauty and thus could have a great chance to end the Miss World drought of Peru. She is also pretty much experienced in the world of international pageantry as she represented Peru at Miss Earth 2015 pageant. 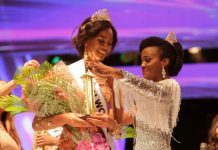 Held in Teatro Plaza Norte in the capital city of Lima last weekend, the Miss World Peru 2017 pageant sought to find ways to reverse its fortunes at the main international pageant. The 2017 edition of Miss World will kick off in November and will involve the cities of Shenzhen, Sanya and Haikou. Peru hopes that China will be a lucky charm for them as Julia Mantilla also won in China. It also hopes that since the current winner is a Latina, the crown could perhaps remain in the Latin American region. Cynthia Pamela Sanchez who hails from the Amazonas region, wasted no time to prepare herself for the Miss World 2017. She immediately went to Chimbote to start with her social work and charity project. 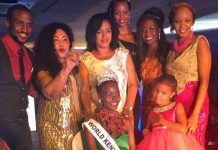 That’s a pretty good start but one should take into account that Miss World this year will focus more on social media and interactivity. For Cynthia Pamela Sanchez to prevail, charity projects may not be enough. It seems she needs a lot of support from her fellow Peruvians as well.